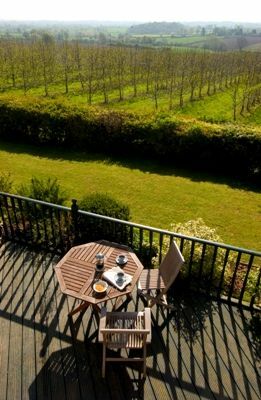 Field Cottage is located in a beautiful orchard setting, with extraordinary panoramic views from the Welsh Black Mountains to the South Shropshire Hills. 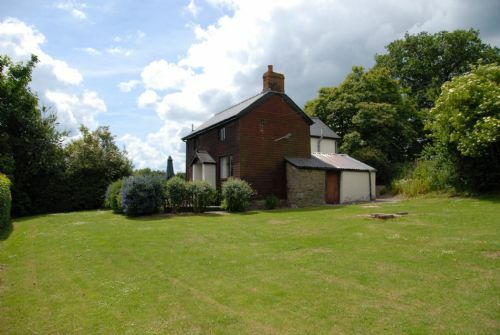 This is a typical Herefordshire holiday cottage, with lots of home comforts. The interior is typical of its rural surroundings and is filled with rustic antique furniture, making it a real home from home. The property consists of: hall, cloakroom, kitchen, a large open-plan sitting and dining room that leads onto a south-facing terrace, perfect for a family BBQ. 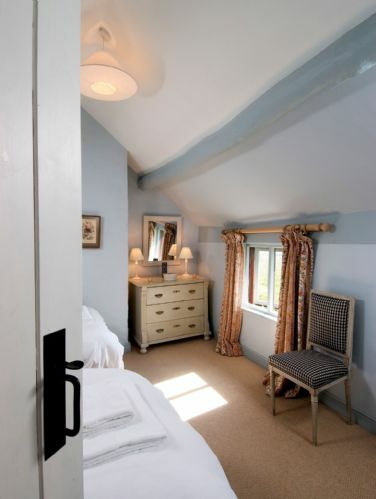 Upstairs are two bedrooms - one double and one twin and one shared bathroom (Z-bed also available). Other facilities include open fire, central heating, washer/dryer, TV, video, telephone, stereo, games, BBQ and outdoor furniture. The cottage was lovely. Clean, comfortable and spacious. Great welcome hamper and nice views. We booked the cottage for additional guests joining us at The Sherriffs as it was within walking distance. However not an ideal walk in the dark. This is the type of place you don’t tell your friends about, fearing that if you did and the secret should get out, you’ll never be able to secure a booking again. We stayed a week over new year..
On arrival the cottage was clean tidy and warm.. there is all you need for a comfortable stay.. 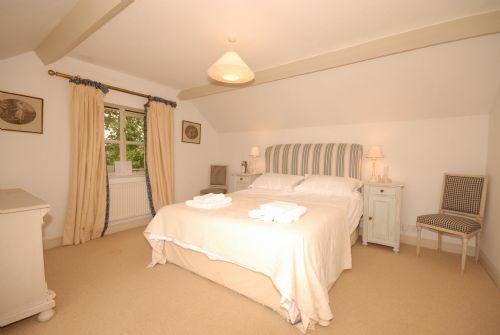 It's set in a beautiful rural aspect, Cosy and comfortable. Charlotte the property manager was always responsive to request for more logs! All in all a thoroughly enjoyable break..
A really lovely, peacefull location. The outside of the property is looking a little tired and could do with some maintenance. We could hear something running about in the loft space- possibly a squirrel?! A great little little cottage, the open fire was great, given that it was a cold wkend! We had a nice stay at Field Cottage. It was in a remote position. The brochure suggested there was a pub within walking distance. This turned out to be a couple of miles through lanes with no pavement or lighting. The cottage was well stocked with everything you need and the welcome basket was lovely. My partner and I hired out the whole estate for our wedding celebrations. Some of our family stayed in field cottage it was a home from home. The orchards that surround the house were stunning and the fact that we were able to take our dogs with us was an added bonus. The family members who stayed there thought it was perfect. It is in excellent condition and is very clean and tidy! Nothing was too much trouble and we thoroughly enjoyed our stay. We are already planning our return. We have stayed before. It’s a simple well used cottage but really comfortable and warm in icy weather. 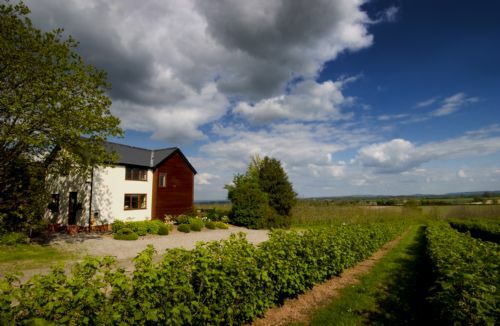 Brilliant location away from roads with orchard views from every window. We spent a triple 40th birthday weekend at Field Cottage, Gardeners Cottage and the Colloquy, and it was the perfect destination. The properties are all fantastic and have great facilities. Charlotte and her team provided everything we needed and more (including a lovely treats hamper that was very much enjoyed); however, they were never intrusive or overbearing. The location is beautiful and the grounds are stunning (although we didn't have time to explore them all). All of the children in our group enjoyed the best game of hide and seek ever. All in all, we can't recommend the property highly enough, whether you are looking for a short break or a little longer, you will not do any better. 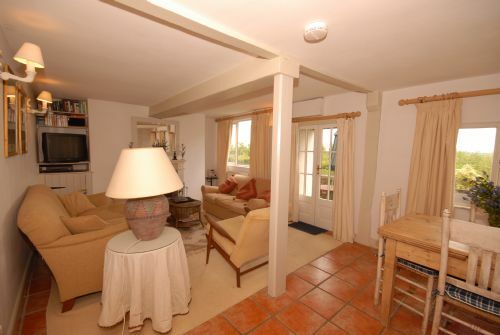 A reasonably comfortable house located in the heart of Herefordshire, close to great restaurants. 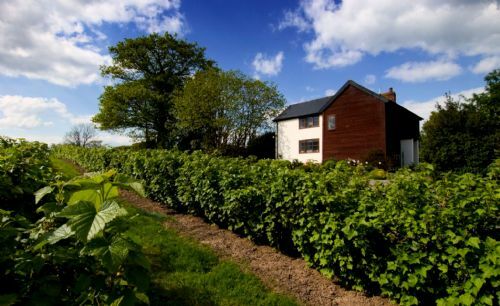 A reasonably comfortable house with a decent-sized garden and all the facilities you will need for a short stay. The kitchen and outside deck are a little tired, but otherwise the house is fine and very well situated for some peace and quiet. The part of the family that stayed at field cottage enjoyed the space and it was easy to get up to Sherriffs where the rest of the family was.